Home Topics Voices of PLNU Talking Point: Q&A with Deborah Erickson, Ed.D. Talking Point: Q&A with Deborah Erickson, Ed.D. Dr. Deborah Erickson, dean of the School of Education, has been on faculty at PLNU since 2013, after serving 11 years in faculty and leadership positions at the Graduate School of Education at California Lutheran University. 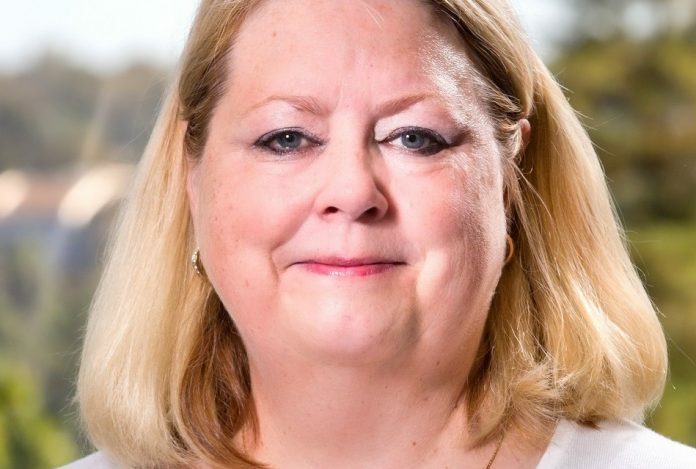 In honor of the School of Education’s 100-year anniversary of preparing and graduating successful educators, we talked with Dean Erickson to learn more about her background and the School of Education’s new program initiatives. Q: How did you personally come to choose education and now education administration as your vocation? A: My father was a career teacher and my mother taught Sunday school for more than 25 years—so I’ve wanted to be a teacher since I was very young. I have always believed that if you are a good teacher, you can teach any grade, but there are certain ages we’re drawn to. Primary grades have always been my favorite. I became a vice-principal after three years of teaching and have been in leadership roles ever since. At times I’ve tried to leave education, but God has always called me back. I feel blessed to be a part of the PLNU community and play a small role in realizing Dr. Bresee’s century-old vision of a holiness university that extols the love of Jesus Christ. Q: How do you personally aim to be a servant leader as an administrator—and what challenges do you face? A: That is such a great question. The essence of what we do as servant leaders is to build community and utilize everyone’s talents. When working with students, I aim to teach and model the “five practices of exemplary leadership” of Kouzes and Posner, who wrote The Leadership Challenge: model the way, inspire a shared vision, challenge the process, enable others to act, and encourage the heart. From my early years, I was taught these principles by my mother—who is a wonderful example of servant leadership. For example, she now leads a quilting group that makes more than 600 quilts for Lutheran World Relief every year. Q: How have PLNU education programs changed over the years based on the changing needs of educators in California? A: When the first five women graduated from our institution as teachers 100 years ago, they were unable to be married while working. They were also forbidden to be outside their home after 8 p.m., travel without permission from the chairman of the school board, or ride in any carriages or automobiles with any man except their father or brother. Women teachers were also prohibited from wearing bright colors and had to wear at least two petticoats. They arrived at the schoolhouse at 7 a.m. to start the fire, sweep the floor, clean the blackboards daily, and scrub the floor weekly. How different from today’s educators. We don’t have to follow those strict rules, but our teachers—men and women alike—still have an unparalleled work ethic and a true sense of vocation, a calling from God. Q: As dean, what feedback are you hearing about PLNU education graduates when you are talking to administrators in local and regional school districts? A: PLNU has a great reputation. Superintendents have told me how pleased they are with our students because they are very professional, prepared to teach to the Common Core Standards, and proficient in technology. And they not only have the ability to teach well, but they also have strong character as Christian role models. We’re getting calls from local districts and also Los Angeles Unified and other outlying districts asking to interview our grads here on campus. We’re supplying the growing demand for quality teachers—because there is a looming teacher shortage. Q: Tell us about some of the new programs being developed in the School of Education. A: Our new B.A. degree completion program in interdisciplinary studies launches in September—a huge opportunity for students to finish their B.A. and also earn an initial teaching credential. This summer we’ll be approved to offer credential coursework for every education specialist added authorization, and we believe we’re the only university in the state to offer this. Students can learn online in this program, and we’re also developing online courses for our Master of Arts in Teaching degree. I’m also very hopeful about our sponsoring fieldwork experiences in Ghana or Mexico. Q: Congratulations on PLNU’s 100-year anniversary of educating teachers! Any closing thoughts as you reflect on this major milestone? A: We’re thrilled to be celebrating our centennial! We’re still committed to the aim of our founder Phineas Bresee, “to cherish and unfold the mentality with which God has endowed us.” Our mission is all about developing educators of noble character. In today’s world, serving as a person of integrity who models Christlikeness is no less than forward-thinking, cutting-edge leadership. 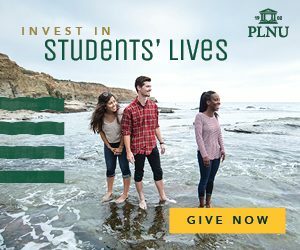 Related Article: Educators across San Diego share about their positive experience working with PLNU and their committed alumni teachers and educators.